If 2019 is the year you have resolved to get into the franchise business, probably the hardest decision is picking the best franchise to own. There are a lot of factors that go into making a franchise successful. Here are some things to consider. Unfortunately, cost will always be a big factor. Ask how much can you afford to put into your new business venture and still pay your bills and have enough to live off of? As you consider different franchise opportunities, be sure to keep track of the franchise fee and royalty fee and total investment of each company. Another big factor is the size of the company and growth potential. Do you want to join a large company that already has a strong franchise presence or a newer growing one with less market saturation? Always look at the number of open and operating units, their growth rate and number of closures. The best franchises also offer their franchisees a strong support structure so find out how much training and operational support they provide you. Also, how much marketing assistance do they offer? What kind of financing do they offer? Also consider if they have a lot of litigation cases against them. That might be a red flag you don’t want to overlook. Other factors to research include the strength of their brand and how many years they have been in business. Do they have a strong social media presence? And finally how strong is their future financial outlook based on their current revenue? Ask franchisors to provide their audited financial statements. Now that you know what to look for, here are the best franchises to own in 2019. Japanese food continues to be a big hit in the food franchise world and the Hibachi Grill is a rising star. Although they currently have just two company-owned stores, they are looking to expand through franchise units. And it is a reasonable business venture with startup costs ranging between $311,000 and $365,000. They offer both classroom training and on-the-job support. In our stressful, fast-paced society, massage and facial spa services have become really popular and one of top ones is the Hand and Stone Massage and Facial Spa. They currently have 379 franchises and are growing by leaps and bounds. Their startup costs range between $500,000 and $604,000. Franchising since 2006, Hand and Stone has created a strong support structure for their franchisees including a strong national brand and a franchisee intranet system. Painting studios for kids and adults are also on the rise. Color Me Mine Enterprises is a paint-your-own ceramics studio that has been around since 1992 and has 129 franchisees and 9 company-own stores. They are another one of the best franchises to own. They are currently looking for more franchisees. Startup costs range between $164,000 and $197,000. They offer in-house financing. In the world of fitness, Planet Fitness is a well-recognized name with 1,540 franchises and 68 company-own locations. Startup costs range between $969,000 and $4.2 million. Plant Fitness focuses on connecting not only with the regular gym goer, but also the occasional gym goer who is still tentative about the whole gym membership thing. Each location holds monthly pizza nights and bagel mornings for their members and always have tootsie rolls available for snack attacks. They also offer a strong support structure for their franchisees. Between 2015 and 2018, the company saw about a 65 percent jump in membership. Great Clips has been franchising since 1983 and has over 4,500 franchise locations. They are constantly trying to innovate to attract more customers. Recently they used Snapchat adds to boost salon sales. Startup costs range between $136,000 and $258,000. They still have a lot of territory available. You are probably seeing more California Tortilla Mexican restaurants pop up. They are considered one of the top franchise. They now have four company-owned stores and 42 franchises and are looking to expand even more. Startup costs range between $378,000 and $697,000. They offer third-party financing options and both substantial training and on-the-job support. Owning a McDonald’s franchise is one of the more expensive investments with startup costs ranging between $1.06 million and $2.23 million, but it is one of the strongest international brands and franchise system, making it one of the best money making franchises out there. During its 64 years of business, the company has always found a way to constantly reinvent itself. Dunkin, previously known as Dunkin Donuts is going through its own reinvention with a new name and new store design and a new focus on beverages. Startup costs include a minimum liquid assets of $250,000 and a $500,000 minimum net worth per unit. Chaps Pit Beef is the best franchise to own. Having been around for over 20 years, Chaps has built a strong loyal customer base that any Chaps franchisees can bank on. When you are building a new business from the ground up, you will have to create your own customer base. That is what is so great about joining Chaps. 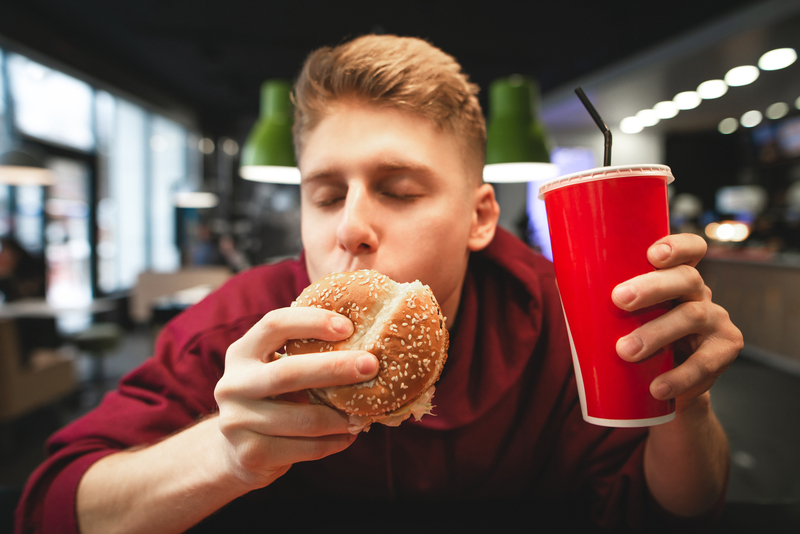 There are already a strong customer population craving your food. 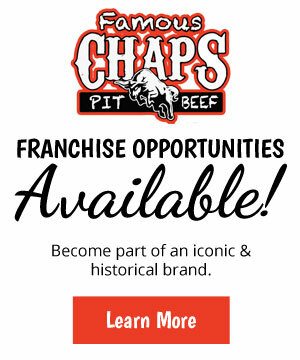 What really makes Chaps Pit Beef franchise program so special is that they offer a strong support structure for their franchisees, giving them all the training and resources they will need to run their own successful Chaps unit. 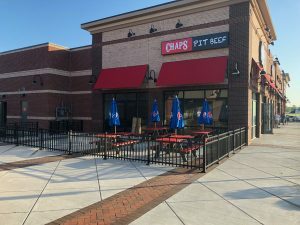 Chaps designed its second location in Aberdeen, Maryland as its first prototypical BBQ franchise unit so they could map out for their franchisees every little nuance of designing the ideal Chaps location. As a franchisee of Chap’s, you will have access to all the site selection and layout specifications as well as a list of all the equipment you will need for your franchise unit. At Chaps Pit Beef, the licensing fee is $25,000 and royalties are 7% (6% and 1% for advertising). Startup costs vary depending on the location, square footage, equipment, etc. Chaps offers single store opportunities, as well as development agreements for territories.